What is Cancer Related Distress? 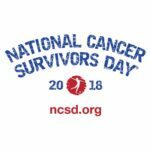 Any unpleasant feeling, emotion or experience that affects your quality of life, and your ability to cope with your cancer diagnosis and treatment. Distress is a normal and expected side effect of cancer diagnosis, treatment and survivorship. Family issues (talking with children, fertility, family support systems). 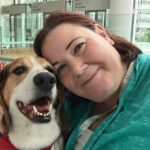 Why am I being asked about my cancer related distress? Your healthcare team wants to know if you have distress because we can help manage and reduce your distress, and this is an important piece of your overall cancer care. Reducing distress in patients with cancer is important because cancer-related distress has an impact on patient outcomes, patient-doctor communication, early access to referrals and services, and your ability to complete your cancer treatment plan. Beginning in 2015, all cancer centers that are accredited by the American College of Surgeons Commission on Cancer are now required to screen all patients for distress, as well as to offer further assessment, education, support, and referrals for services. Is it normal to feel some cancer related distress? Yes. A cancer diagnosis and associated treatment is a life changing event. You may suddenly have to deal with new stressors as a result, such as an inability to work, talking to your children about your diagnosis, fear and worry about the treatment and changes to your body, including hair loss and appetite changes. Adjusting to these changes is challenging and can lead to feelings of uncertainty and distress. Most people have a capacity for resilience (to be able to bounce back in the face of stress) and thus can manage their distress through self-management techniques. What can I do to help manage my cancer related distress? Recognize that it is ok to feel distress, depression, anxiety, sadness, worry, nervousness and any other emotion. Make a commitment to take care of yourself, both mind and body. Just as it was BEFORE you were diagnosed with cancer, it is important to eat well, get plenty of rest and continue to exercise. This doesn’t mean you have to train for a marathon! Walking, swimming, dancing or yoga are all excellent ways to engage in physical activity while going through cancer treatment. Your healthcare team can refer you to a dietician or cancer rehabilitation program to help you maintain your health during treatment. Identify techniques that you have used to help manage other periods of stress and distress in your life and put those time-trusted techniques to use now. Try something new, such as Reiki, yoga, mindfulness, mediation, art therapy, or journaling/blogging, to help decrease stress. Join a support group. Many are available in your community, or by phone and online. Your social worker can help make referrals to support groups in your area. Connect with a peer support person. Several programs, including Imerman Angels, Cancer Hope Network and the Leukemia and Lymphoma Society First Connection, offer peer-to-peer programs that match you with another survivor who has been through the same diagnosis and treatment as you. They also offer this service and support to caregivers. Your social worker can help make referrals to these organizations. What do I do if my cancer related distress increases or impacts my functional abilities or my quality of life? Talk to your healthcare team about your feelings, thoughts and cancer related distress. We cannot know you are struggling if you do not tell us. Do not be afraid to ask your healthcare team, family, friends and other support persons for help when you need it. Ask for referrals for counseling/therapy. A social worker or navigator can help you identify practitioners who are within your insurance company’s mental health provider network, as well as investigate your mental health benefits. Keep a journal or log of your distress symptoms. What is happening, when it is occurring and your thoughts and feelings during those times. Use this log with your healthcare team to help identify triggers and strategies to relieve distress. Demystifying Mindfulness: Meditation-There’s An App For That!